If there was any one color that takes a neutral stance in interior design, brown fulfills the role. Contemporary, modern, traditional, classic- inevitably all decor styles make great use of this color in some way shape or form. Just take a look around your house. Wood floors, paneling, cabinetry, a coffee table or the drapes - from the lightest tan to the deepest mahogany there's bound to be something with a brownish hue that plays a part in your home. That includes the lighter tones too. Yes even taupe and beige are hiding a little brown pigment in the formula. So it's no surprise that it marries well with a wide spectrum of colors to create stylish and inviting color schemes. I love the freedom and warmth that a dose of brown brings to design and enjoy exploring new color combinations from our jewel tone palette. 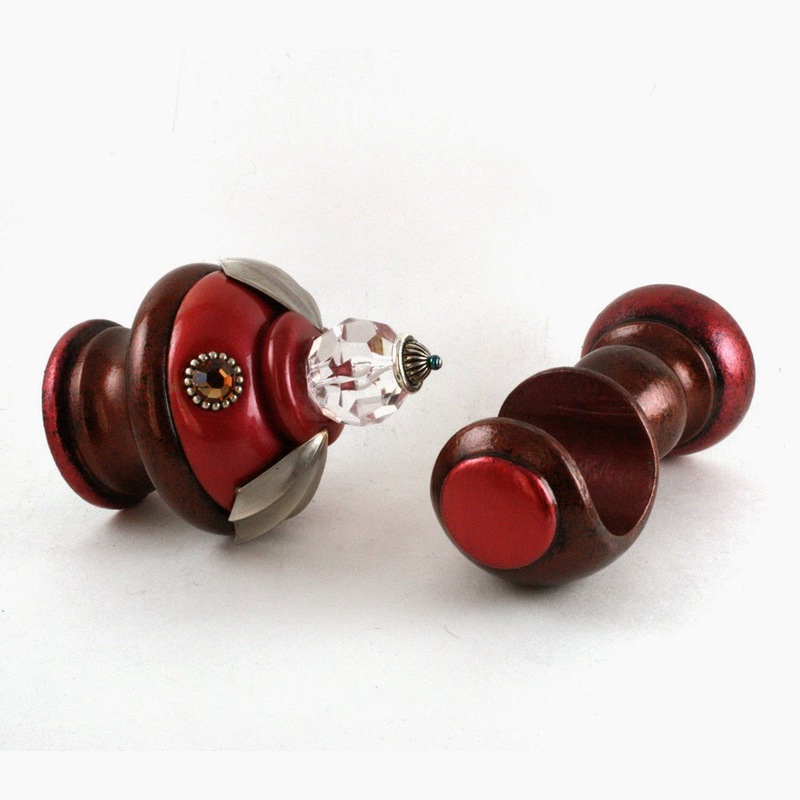 Drapery hardware includes Birdie Finial with matching support bracket in ruby red and agate brown. 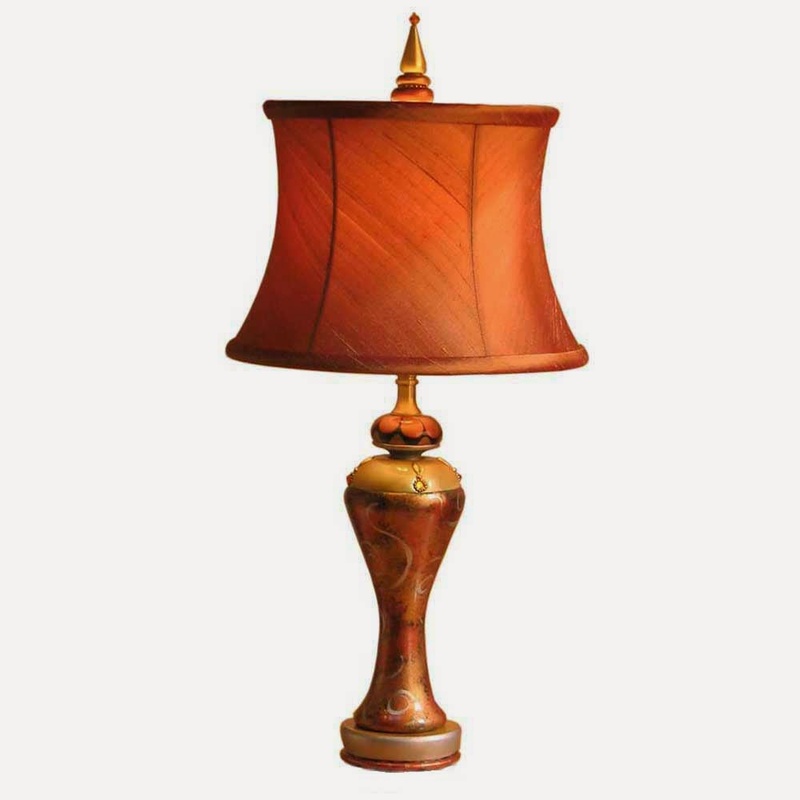 Siena Sara accent lamp has a Dupioni silk shade in pecan that throws off a rich reddish brown glow when illuminated. 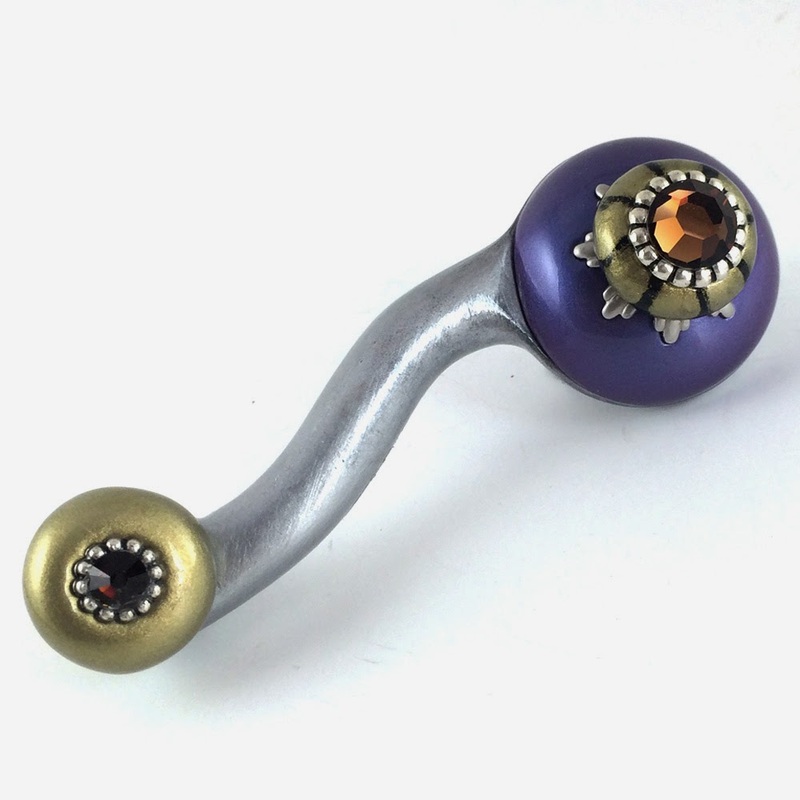 Eel Iris Left Drawer pull has Swarovski smoke topaz and mocha brown crystal.